Fancy treating yourself this payday weekend to a new face mask to add to your Autumn skincare routine? Here are my two picks (both cult favourites!) featuring one for charity, and one that's currently on a too good to miss offer. Origins are famed for their amazing face masks, and one of their bestsellers is the much-loved Drink Up Intensive Overnight Mask. This hydrating superstar is a must for the Winter months ahead, and a beneficial mask for anyone to use, especially dry or dehydrated skin types. It feels like a thick moisturiser when you apply it, and features nourishing ingredients such as Avocado Oil, Mango Butter, Japanese Seaweed, Apricot Kernel Oil and plant-based Glycerin, as well as everyone's favourite Hyaluronic Acid, to deliver an intensive boost of moisture to even the driest skin. I experience a lot of dehydration and tightness around my cheeks, and find that this mask works well for me when I use it once a fortnight to help balance out my combination skin. Dry skin types can use this more often (twice a week or so), and it's a great mask to reach for to use after a mud or detox mask to replenish your skin's moisture levels. Just leave it on overnight to work its magic, and wake up to happy, soft skin in the morning. To support Breast Cancer Awareness this month, Origins have released this cool, Limited Edition, Pink Ribbon version of the Drink Up Intensive Overnight Mask. £4 from every Limited Edition mask sold will go towards funding cruelty-free research at the Breast Cancer Research Foundation, so there's no better time to try it or to stock up! I'm obsessed with all things linked to 'brightness' at the moment, in my quest to achieve a more glowy complexion, and this mask from REN has been a firm staple in my skincare stash for around two years now. It's a powerful chemical exfoliator (there are no manual scrubby bits in this - instead it uses fruit derived acids to gently exfoliate dead skin cells, unclog pores and blackheads, and smooth out the skin's overall texture) that you can use once a week for clearer, brighter skin. Full of Glycolic, Lactic, Citric and Tartaric Acids, this mask is a useful and easy way to shift dull, dead skin cells. Recommended for all skin types, except sensitive, the formula feels a bit like a thin, fruity, marmalade (though a lot less sticky! ), and gets to work in just 10 minutes so it's perfect to use when you're short on time. 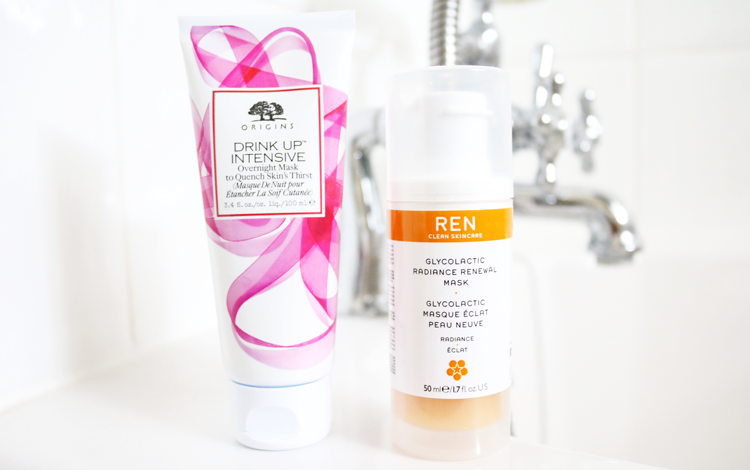 If you fancy treating yourself to this luxe blogger favourite, you can use the code MASK30 to get a whopping 30% discount until 31st October 2016 when you purchase direct from REN's website. Now that's a decent deal! What are you treating yourself to this payday weekend? I'm a big fan of their Flash Hydro Boost too!